Did you know that North Carolina law requires that your children under eight years of age and weighing less than 80 lbs. should use a "Child Restraint Device" while riding in a car? (Children between 40 and 80 lbs. can use booster seats, while children under 40 lbs. are required to use a car seat). Did you know that you should keep the seat rear-facing until your child is 20 lbs. or one year of age? Did you know that you should never place a car seat in the front seat of a car with a passenger side airbag? According to the Centers for Disease Control (CDC), on average, a car seat reduces your child's risk for serious injury in a crash by 55%. Studies have shown that over 92% of car seats are installed incorrectly. In the United States, motor vehicle crashes are a leading cause of death among children. 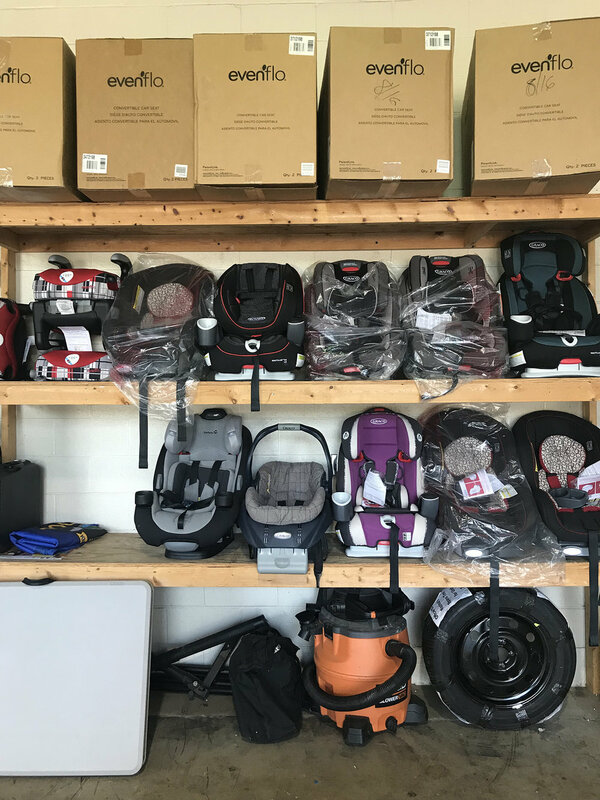 To help ensure better safety, residents of Charlotte and surrounding communities can get their child car seats checked for free through the “Safe Kids” program held at a variety of locations throughout the state, including the Matthews Police Station (1201 Crews Road), Wednesdays from 8:30 a.m. – 11:30 a.m. It is one of the few remaining free car seat checks available weekly throughout the year. Individuals need not bring their children, just a car/booster seat. (Through donations, car seats are available for those referred through social services, etc.) Inspections are completed by Child Passenger Safety Seat technicians and take approximately 20 minutes. According to Tim Aycock, Community Resource and Public Information Officer, the department handles between 900-1100 checks per year; busiest time of year is around Thanksgiving when even visiting grandparents and relatives request help. All infants and toddlers should ride in a rear-facing car safety seat as long as possible, until they reach the highest weight or height allowed by the seat's manufacturer. All children who have outgrown the rear-facing weight or height limit for their car safety seat should use a forward-facing car safety seat with a harness for as long as possible, up to the highest weight or height allowed by the seat's manufacturer. All children whose weight or height is above the forward-facing limit for their car safety seat should use a belt-positioning booster seat until the vehicle lap and shoulder seat belt fits properly, typically when they have reached 4 feet 9 inches in height and are between 8 and 12 years of age.